Three of the biggest telcos in the UK have won in their bid to offer a mobile wallet partnership to consumers. The European Commission had been mulling over a bid by Vodafone, Everything Everywhere and O2 to offer a unified way to pay for goods with a mobile phone. 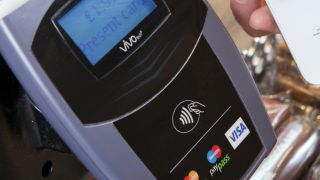 Dubbed Project Oscar, the mobile wallet initiative is set to go up against the likes of Google Wallet using NFC technology and it is hoped that the scheme will be seen as a safe alternative to using cash cards for transactions. Although the EC has given this proposal the greenlight, Google and Three were two big names that were opposed to the payment scheme. Three because it thought Project Oscar was monopolistic and Google looked to be protecting its own mobile payment service. Everything Everywhere, one of the partners, however is pleased with the result, saying in a statement: "At the heart of the JV (joint venture) is a desire to bring to the UK an easy and effective solution for businesses to create and for consumers to enjoy mobile marketing and wallet services. "With EC clearance received, the job of getting the JV up and running as quickly as possible can begin, starting with the hiring of the necessary people and the creation of the new company." According to Everything Everywhere, it is the discount side of the platform that consumers will see first. Essentially the scheme will mean that phone users will be offered a bevy of brand discounts and offers if they opt into the service – essentially codes to get money off in restaurants and the like. This is only the beginning, though, eventually the deal, according to Everything Everywhere, "will give consumers a simple and secure shopping experience, allowing them to purchase goods and services using their handsets in physical locations such as shops, using contactless technology, as well as online."